I have always been an ‘outside the box’ creative thinker. Art and design have allowed me to express that aspect of myself. As a kid I drew a lot, and was an enthusiastic artist throughout high school. Since enrolling in Graphic Design at MATC I have nourished my skills in illustration, photo editing, typography and writing. I have also strengthened my abilities working with traditional media: sculpting, acrylic and watercolor painting, pastels, pencils, and ink. My non-artistic muses are getting out into nature, listening to music, and my love for animals—especially cats. I knew I had to do something cat-related when it came time to work on PSA posters. 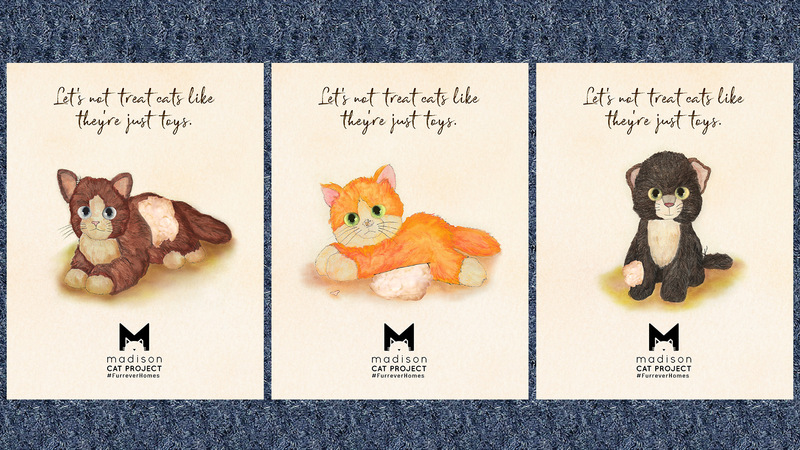 Using my skills with soft pastels, watercolor pencils and Photoshop, I brought this impactful poster collection to life in hopes of raising awareness of cat mistreatment and the responsibilities of pet ownership. I hoped to present the fact that cats are living, breathing creatures, and not just expendable toys that can be cast away when they no longer serve a purpose through this illustrative 3 poster set. Joann Fabrics & Crafts is one of my major go-tos for craft supplies, but their current branding leaves something to be desired. I used fabric, fabric paint, Photoshop and Illustrator to create promotional materials in hopes of bringing their branding identity back to their roots. 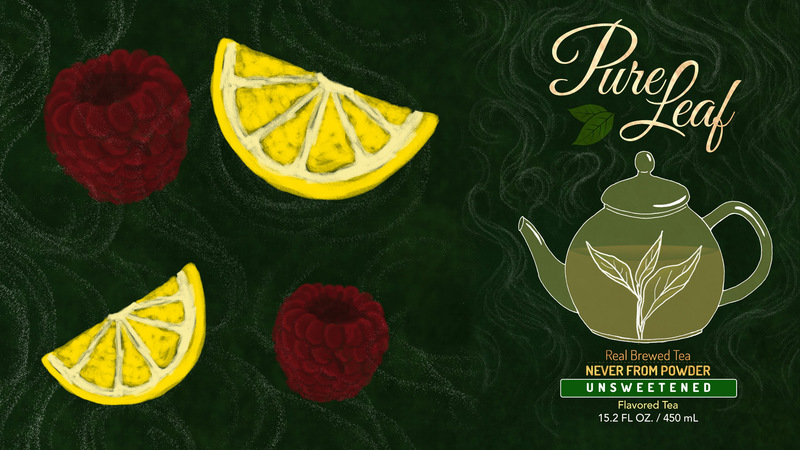 Pure Leaf Tea is one of my go-to tea brands to drink on the go. So, when I got the opportunity to do a label makeover, I knew their label had to be my subject. Wanting to mix together rustic elements with natural touches with a modern flair, I drew the teapot outlines by hand, cleaned up on Illustrator, and then touched up in Photoshop. 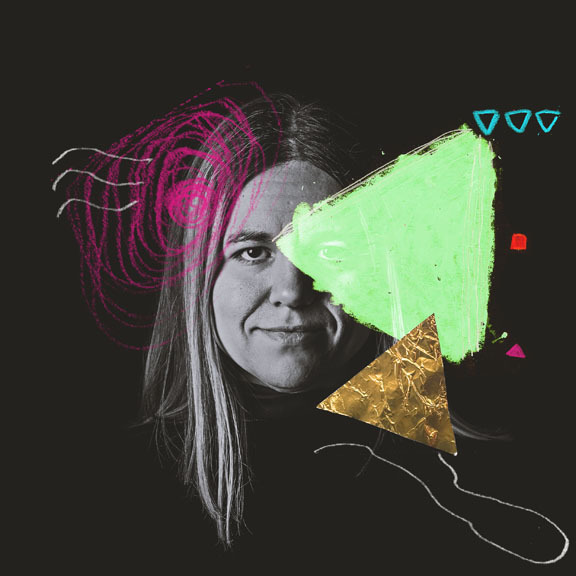 I then worked some magic with textures and elements in Photoshop. As an animal lover and pet owner most my life, I thought it would be interesting if an Instagram specialized in sharing pet photos and videos existed. Done mainly in Illustrator and Photoshop, my intent was to create sections on the app for different types of pets. 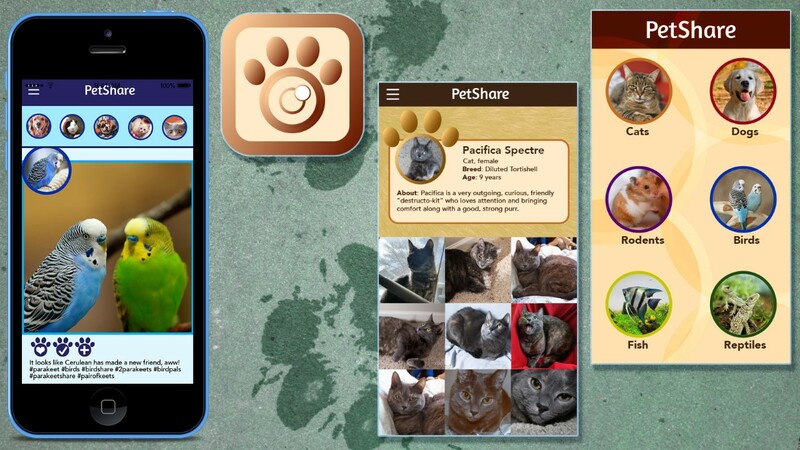 I chose to give each a specific color theme and profile page texture that represent each type of pet. They were in need of a logo, and this was my contribution. I used Illustrator as I wanted a clean, professional look. I took what I knew about weather tracking and attempted to implement that into the resulting design.